Training or Rest? Breaking the Plateau. Training plateaus are no fun at all, and they are all-too common. You put your heart and soul into every workout and rugby practice but, despite your efforts, your fitness and performance remains the same. In some cases, you may even find your performance declines. So before you sacrifice a chicken to the rugby gods in an effort to win back your progress, it’s important to understand what a plateau is, and what you can do about it. Why do training plateaus happen? Training plateaus normally occur because your body has adapted to the type of training you are doing. You are only as fit or strong as your last workout. For example, if you’ve been squatting 100kg for three sets of eight reps for the last few weeks, that’s pretty much as strong as you are going to get. Small increases in training intensity and volume are the key to making continual progress. That’s why periodization is such an important element of rugby training. A periodized training plan starts relatively easy and then builds in both volume and intensity to produce a performance peak. After a brief de-load, the process starts again but from a slightly more advanced level. It’s a bit like a dance – three steps forward, one step back, and so on. Plateaus also happen when your training outpaces your ability to recover. Training takes a lot out of your body and involves a lot of catabolism or muscle breakdown. You need to rest and eat appropriately to replace used resources and allow time for your muscles to recover and heal. Training before recovery has occurred means you could end up decreasing rather than improving performance. If you train hard, you need to recover hard too. That means you need to respect your body’s need for sleep and pay attention to what and how much you eat – especially after training. You should also include rest days in your weekly schedule, and also include de-load periods in your training plan. One way to utilize de-loads is to create several four to six-week training blocks and punctuate each one with a one-week phase during which you reduce training volume and intensity. A de-load is NOT a complete break from training, but you should finish all your workouts feeling like you could have done a lot more. Rein-in your enthusiasm and save it for when you go back to your normal training schedule. Unstructured training – an alternative to structured de-loads? A recent study in The Journal of Strength and Conditioning Research suggested an alternative to the traditional de-load model. De-loads are normally programmed, structured, and involve following a watered-down version of your current training program. Exercises, sets, reps, and weights are all prescribed based on current performances. There is little room for individualization. The study tested the effectiveness of a four-week period of unstructured training on performance in collegiate male rugby players. The players did not follow any form of structured or supervised training but, instead, used what bodybuilders called the “instinctive training system.” This is a fancy way of saying they did what they wanted to when they felt like it. 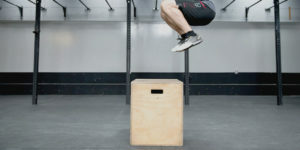 The results were very interesting and, when tested, the participants demonstrated a 5.0% improvement in VO2 max (absolute increase of 2.25 ml/kg/min), a 6.8% improvement in vertical jump (1.50 inches), and a 14.3% increase in squat max (38.64lb). Not too shabby! On the downside, there was a general increase in body composition, averaging 2.58%. This was attributed to poor dietary habits rather than changes in training. Like most ruggers, these collegiate players need to pay attention to their diets even when their training is not strictly structured. Performance may have improved even more if they had maintained their normal training diet. So, what happened? This study suggests that training according to how you feel is a good way to improve performance without having to follow a structured de-load. De-loads do not take into account how you feel. Some players need longer, easier de-loads than others, and some players recover faster. If your de-load doesn’t match your individual needs, it may not be as effective as it could be. In contrast, unstructured periods of training mean that your workouts will match your energy levels and your enthusiasm for training. This is strongly linked to how well you are recovered. With no fixed training plan to follow, most ruggers will do what they feel like doing which naturally regulates training intensity and volume. Still feeling tired? You simply train less or take it easier than normal. Feeling recovered? It’s time to drop the hammer and train hard. If you are suffering a performance plateau or are coming to the end of an intense period of playing or training, try a few weeks of unstructured training. Instead of worrying too much about sets, reps, and weights, use how you feel to govern training intensity and volume. Listen to your body and respond accordingly. If you feel like taking it easy, then that’s what you should do. If you don’t feel like training, that’s okay too. Make sure you avoid fat gain by continuing to pay attention to your training diet. Increasing your body fat levels could have a detrimental effect on performance. You can’t train full-on all the time. Those that try too often end up overtrained and injured. Instead, your training intensity and volume should undulate, building gradually over time. Rest and recovery are every bit as important as hard work. If the standard de-load model doesn’t seem to fit, it’s good to know there is an alternative that may actually be better for increasing performance. Give it a try and let us know how you get on with your plateau breaker!